The moment everyone has been waiting for!!!!! I knocked on the door of Nicole&apos;s house. "Hello. I was expecting you." She said. "Cut all the crap. Where is she?." "Well what makes you think she is here." I pushed pass her getting a bit annoyed. Anthony helped me search the house. Nothing. Then I found a door. "Daveed if you open that door I swear to god I will kill you." She said I looked at her. I didn&apos;t really care if she was bluffing or not. She was going to jail anyway. I opened the door. "Daveed?" I heard her say back. Nicole ran in the kitchen. I walked down the stairs. "Daveed! Oh my god. I would hug you but......" She said showing me the ropes that were tied around her hands and feet. I laughed at her. I helped her untie them and helped her up. "Sorry to end your reunion but if I can&apos;t have him no one can." Nicole said holding a knife. "N- Nicole you don&apos;t want to do that." Ivy said. Nicole brook down in tears. "I can&apos;t live without you." She said. Then she cried out in pain. She rolled over. She had a knife in her stomach. "Oh my god! 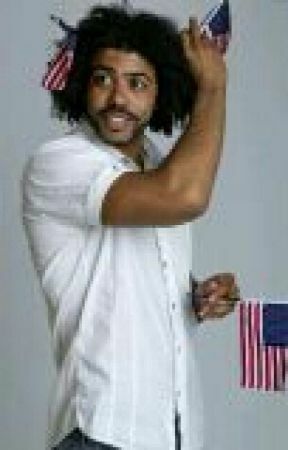 Daveed call for help!" Ivy said. I called for help. They where here in 2 minutes. They took in the ambulance and drove her to the hospital. "I am just glad you are OK." I said hugging Ivy and kissing her forehead. "Daveed I can&apos;t do this." "Do what?" I asked confused. "Be with you. We both have baggage we need to handle and I can&apos;t commit to a relationship like you want me to." She said with her eyes full of tears. "Ivy I love you OK and nothing you can say or do will make me fell otherwise. So you can break up with me but it doesn&apos;t change how I feel about you." She just smiled at me and kissed me. Hahahahaha!!!!! Oh the torture!!!!!! Enjoy!! !